house of spoon: ridiculously large rings! 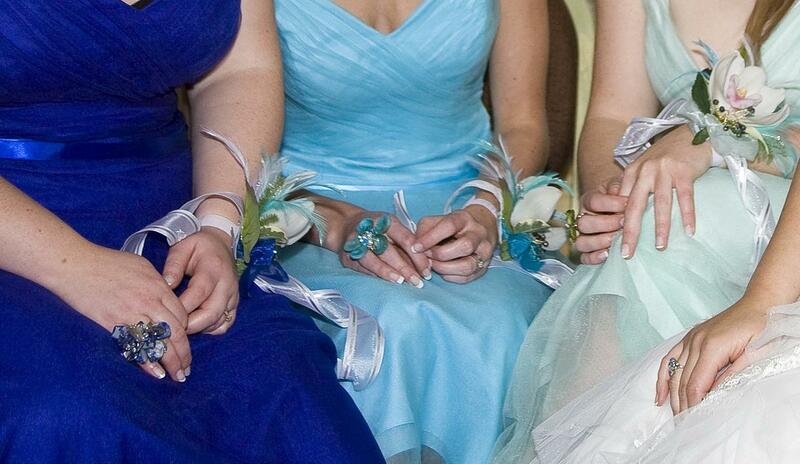 Another aspect of the fun jewellery for my wedding was to be enormous dress rings that would match the colours of the girls' dresses. You can just about make them out in this picture - click on the pic to enlarge - i really should've taken proper ones but didn't think of it at the time. The dark blue ring was made of lots of pieces of flat coral-shell all strung onto a base, so they were free to move about. The aqua blue was wired in the shape of a flower with little pearls in the centre and the sea-foam green was wired like a 4 leaf clover, again with the pearls at the centre...all were just wired to a simple base made by shaping silver wire.